So your athletes done the hard work and got vertical drive and height on that bar. Now all they have to do is catch it… couldnt be easier…. right? 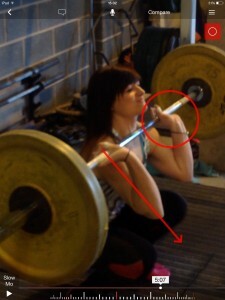 Athlete catching the bar with the elbows pointing down? A number of athletes when learning tend to try and absorb the weight of the bar through the arms and in a lot of cases place extreme loads through the wrist whilst they are at terminal extension – ouch! … Get your athlete back to basics, elbows up and load the bar through the body and then front squat, front squat and front squat some more. Super wide receiving position – We tend to see this when load on the bar is prized in the athletes mind over the movement associated with effective kinetic chain loading and exploding in the clean. Encourage lifting heavy with those athletes capable of doing so, that is to say those athletes who can express movement characteristics which load the right joints at the right time coupled with lots of red plates on each end of the bar! Super wide receiving position destroys the high speed training related response of going from full triple extension to full triple flexion. 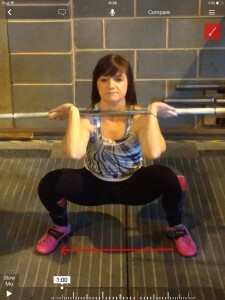 Your athlete should ideally be achieving a good squat stance! We hope this 3 part mini series has helped nail some of the basics for you?!. A big thank you to Resident Sport981 S&C coach Kelly-Jo Robson for demoing some ugly shapes on the platform. If you want to know more, check out our phase one coach development days (Link below) that run through the year on lifting and everything else performance based!